Just go to the link, then select your nearest gym, scroll down and you will see 8 months £99 offer. Click on it and register your details. You can also delay your start date by one month. That's £12.50 per month and no joining fee. *Some people commented that you need a student email to avail this offer. Was 10 months last year for Harrow Wealdstone. I am a member. I can use any of their branches in London but they charge more. You don't. Any email will work. Saves 49p per month compared to standard offer of 12.99 per month at my local one (also no joining fee) Not sure the saving is worth it as paying all up front but useful for those who don't want to set up a direct debit and only using the gym to end of academic terms. I can vouch for The Gym BTW, no gimmicks or spas/pools etc. but high spec equipment. In some areas it's even more cheap at 10.99 per month but in some areas it can get as high as £35. So depending upon location someone can benefit from this limited time offer. I have seen some local in-store deals to get hot because atleast some people are benefitting. Love The Gym. Recommended chain. They have just increased ours by a £1 to £17.99 a month. Why is the list of 'home gyms' not the full list? My 2 local gyms Stretford and Eccles are not showing on the list? Good deal for a decent gym. I had bad experiences at the gyms but since they are anecdotal and others have said they love it, I wouldn't discourage anybody. I will say though that they aren't careful with your personal info - email addresses (at least) were either sold or stolen a couple of years ago and they have never admitted to it. Do you know of any offers on a gym with swimming pool? I want to learn swimming and being on a tight budget as a student! Do you know of any offers on a gym with swimming pool? I want to learn …Do you know of any offers on a gym with swimming pool? I want to learn swimming and being on a tight budget as a student! I think "Better" is cheap, in London Mile End they have pay as you go swimming for £2. But you have to be a member first which is £5. That's the normal price. Yes the 'Better'Gyms are very good for people on a budget. It might be worth checking out the local "The Gym" before signing up / committing for a long time. My local one, was brand new last year, sign up offers of £10.99 a month. Turn up at any reasonable time (eg. before work/after work) and the gym was full to bursting, spent more time standing around hoping a machine (any machine) would be free. Ofc those on machines would stay on for the same reason. I cancelled my membership after 6 months. Nus extra is valid on this deal. It's worth mentioning that if you don't have £99 to spare right now, NUS codes also take off any joining fees on monthly memberships too. Can anyone tell me what happens once the 8 month period ends? Does the membership automatically continue at the normal club rate (for me its £21.99/mth) and you get moved over to direct debit payments, or will it just end once your paid upfront £99 for 8 months finishes? meaning you have to rejoin and once again being made to pay the £15-£20 joining fee? I joined the gym in Wolves when it was 10 months for £99. They didnt ask for the NUS anywhere or any other form of student ID, so anyone could have signed up online. Would have rejoined if it was the same deal I got last time, but I'm now putting my funds into kitting the garage out with gym gear. just joined my local gym with sauna steam for £19.99 per month now surely that is way better than this offer or even the gym group £13.99 per month minus sauna steam. There is one posted yesterday. You can get 7 day free trial. Just search pure gym in HUKD and you will find it. Good find OP.Can anyone tell me what happens once the 8 month period …Good find OP.Can anyone tell me what happens once the 8 month period ends?Does the membership automatically continue at the normal club rate (for me its £21.99/mth) and you get moved over to direct debit payments, or will it just end once your paid upfront £99 for 8 months finishes? meaning you have to rejoin and once again being made to pay the £15-£20 joining fee? Yes it goes to normal but you can cancel your membership. There is one posted yesterday. You can get 7 day free trial. Just search …There is one posted yesterday. You can get 7 day free trial. Just search pure gym in HUKD and you will find it. OP you have any idea when this offer ends? if i just put normal email in the student email bit, would they know or make any difference ? 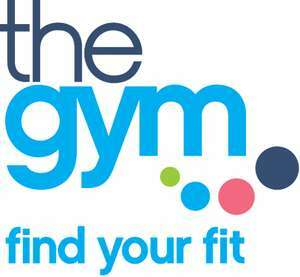 It might be worth checking out the local "The Gym" before signing up / …It might be worth checking out the local "The Gym" before signing up / committing for a long time. My local one, was brand new last year, sign up offers of £10.99 a month. Turn up at any reasonable time (eg. before work/after work) and the gym was full to bursting, spent more time standing around hoping a machine (any machine) would be free. Ofc those on machines would stay on for the same reason. I cancelled my membership after 6 months.